Rick Schwartz is a leading independent film producer and financier based in New York. Casting rumors have been rampant regarding the Rick Schwartz produced and Robert Rodriguez directed Machete Kills, sequel to the cult classic Machete. The Portugese site Omelette reports today that Edward James Olmos is joining the cast, which already includes Mel Gibson, Amber Heard, Jessica Alba, Michelle Rodriguez, Sofia Vergara, Demian Bichir and Danny Trejo. Stay tuned for more updates on Machete Kills! 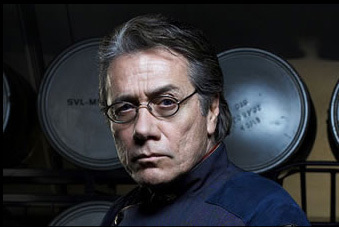 Read the entire article, Edward James Olmos Cast in Machete Kills, here. This entry was posted in Uncategorized and tagged amber heard, danny trejo, Demian Birchir, Edward James Olmos, Jessica Alba, machete kills, mel gibson, michelle rodriguez, Rick Schwartz, Sofia Vergara by rickschwartz. Bookmark the permalink.